Spill Response Plus absorbents have been added to the SPC product line. 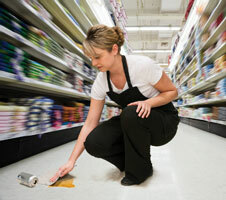 The SRP absorbent works to prevent slips, trips and falls that commonly occur in the retail, grocery and hospitality markets. SPC Spill Response Plus absorbent is available in a range of materials and configurations – including pads, kits, rolls, oil-only, universal and universal plus – to meet a variety of spill cleanup needs.